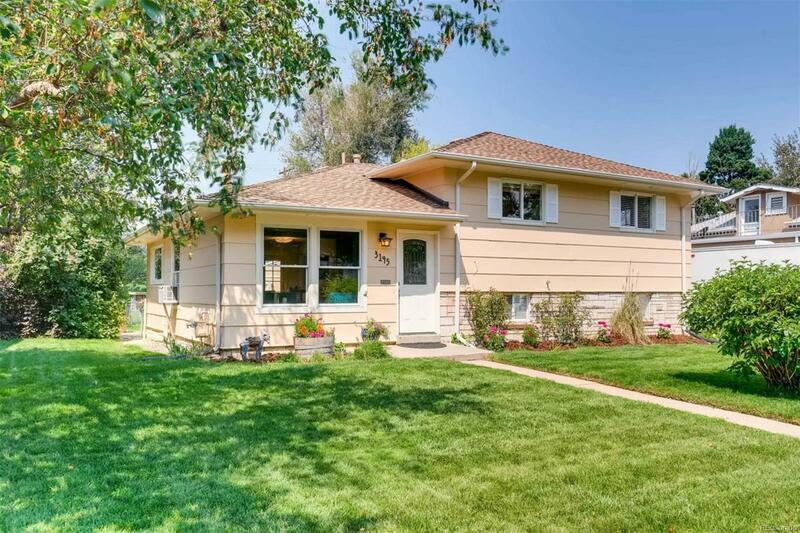 GRACE AND CHARM IN ENGLEWOODBeautifully remodeled 4 Bedroom 3 Bath home backing to Cushing Park. A Kitchen to die for: Quartz counters, Stainless Steel Appliances and Custom Maple Wood Cabinets with soft close hardware. Refinished Hardwood Floors throughout the main. 3 Bedrooms upstairs with an updated master suite, a walk in closet and Western Views. A Garden Level basement with an additional Bedroom and Full Bathroom, Family Room and Laundry. Freshly Painted interior and exterior. Newer Windows, prewired Outdoor Speakers, prewired Surround Sound and one block from Bishop Elementary School. Close to Shopping, Restaurants, Recreation, Community Garden, Mary Carter Greenway Trail, Civic Center, Gothic Theater. Quick access to downtown via Light Rail or Sante Fe. Great Opportunity, move-in Ready... we can move fast if you can!